….for the Football season? And when I say football I mean FIFA World Cup 2018. A month packed with action and overwhelming emotions. When the team you root for makes it to the final stages and the games get tougher and exciting, one can be guaranteed 90 minutes of crazy. It’s definitely fun times ahead. Shop windows are decorated with full of football paraphernalia. From caps to buntings, from flags to trikots. You name it you find it . 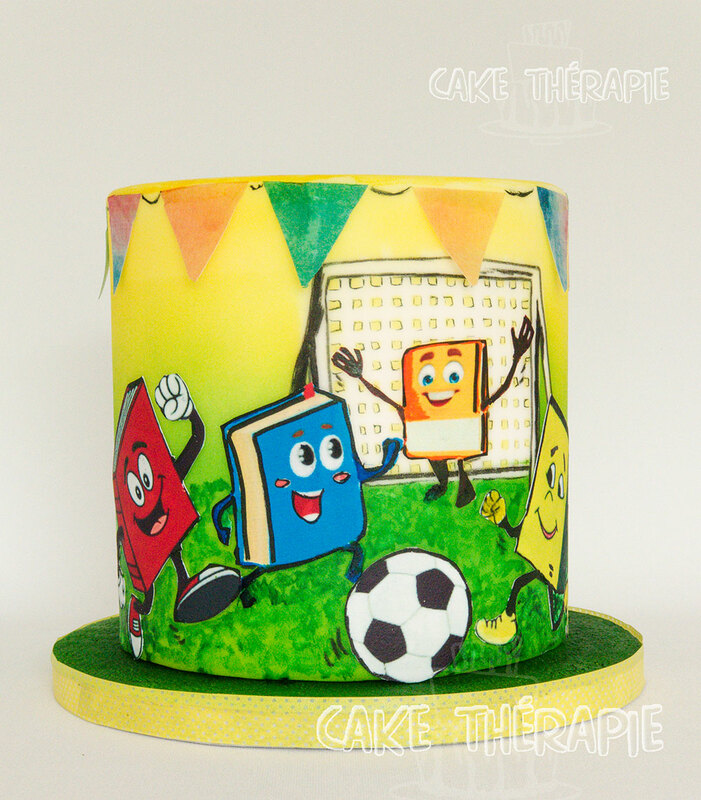 And this time Cake Thérapie got to contribute to the football fever in a very unique and cute way of its own. 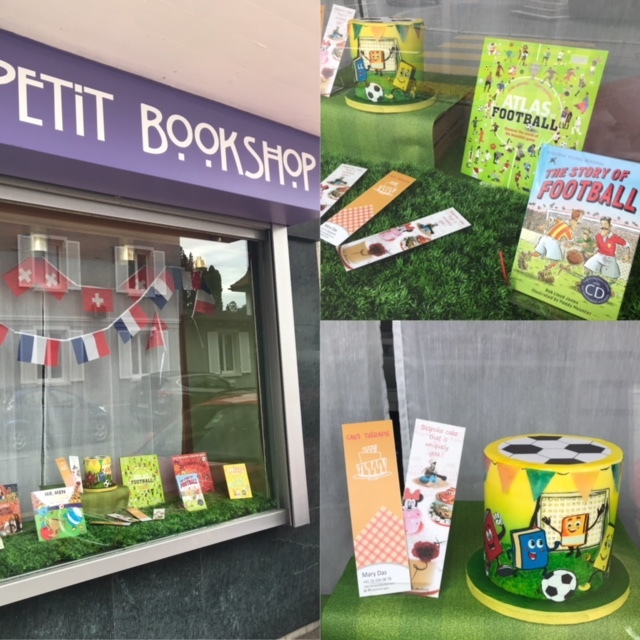 No neighbourhood is complete without its own cute little bookstore and we have one by the name Le Petit Bookshop specialising in English and French books. It is run and managed by two extremely friendly and helpful ladies, Céline and Phuong. Lots of fun and interesting books available at their bookshop. Do drop in when you get time. For the tiny one’s they even have The Big Match from the Mr. Men Series by Roger Hargreaves.My kid used to love the Mr. Men series when he was a little boy. I too have enjoyed reading it with him. 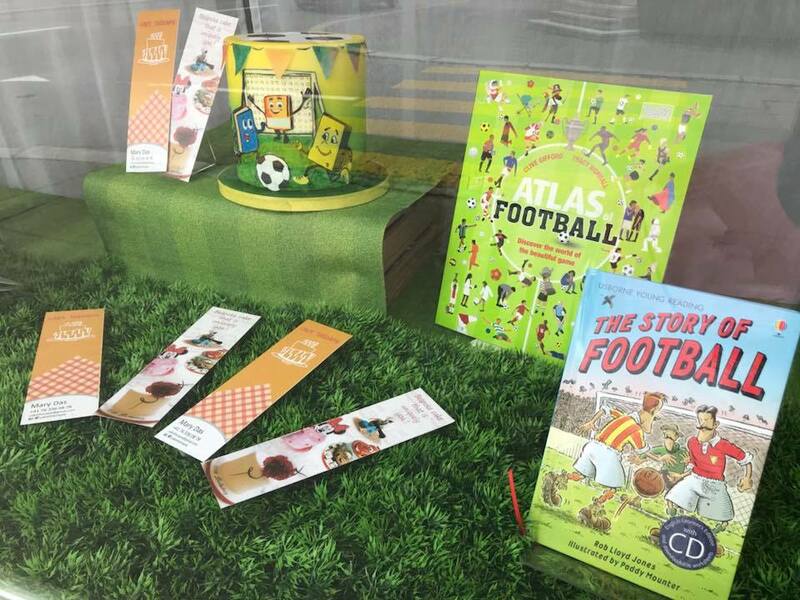 They were kind enough to give me this opportunity to be part of their football themed window display in form of display cake. 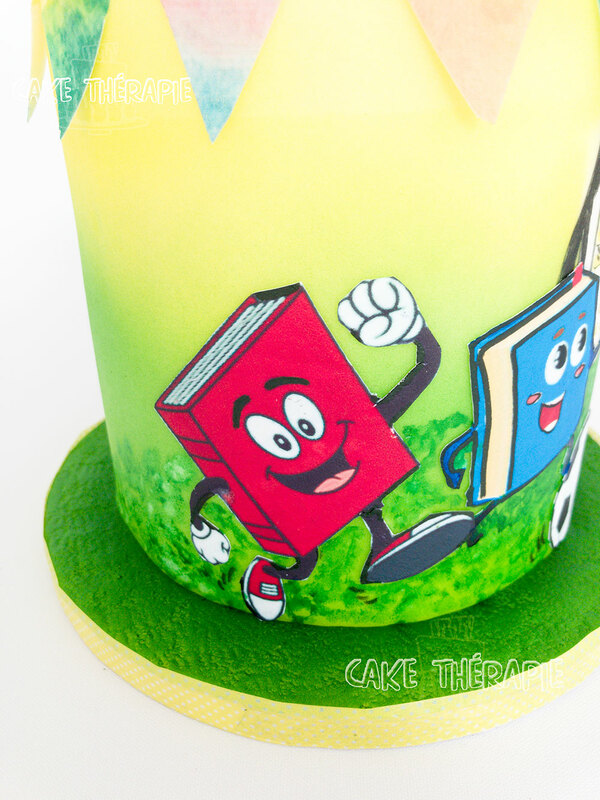 That’s when I thought about an idea that would suit both the bookstore and football theme . Was so much fun working on this cake. Working on a blank canvas can be very daunting. The first brush stroke on a spotless clean white cake is definitely very nerve wrecking. But you take a deep breath and take the plunge and then on there’s only two directions it can go . Either it all works as you plan or you keep improvising as you go . But no matter what route you take, you absolutely love the way it all comes together in the end.